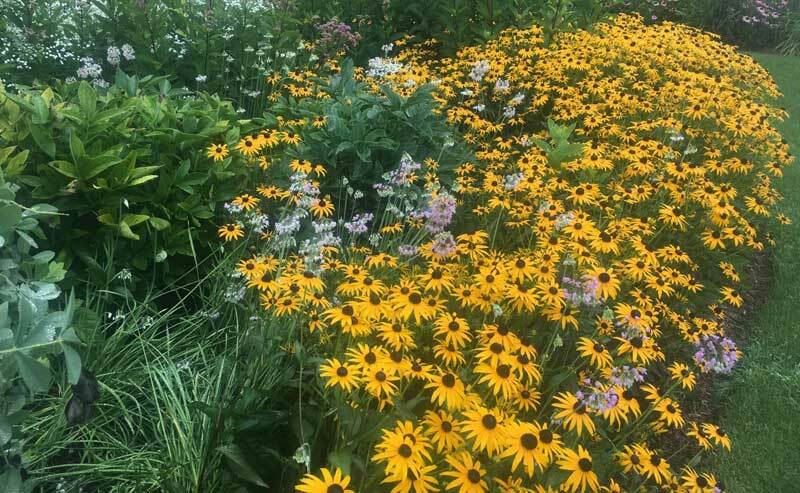 If you read our recent blog post on why incorporating native plants into your garden or landscape is so important, you’re ready to get some practical tips on how to plant native flowers, grasses, trees, shrubs, etc. Designing gardens and landscapes with native plants is a great step toward supporting your local environment so here are some tips to help you get started. For starters, don’t be intimidated. Using natives in your landscape doesn’t mean you need to convert your entire yard into a prairie (unless you want to!). 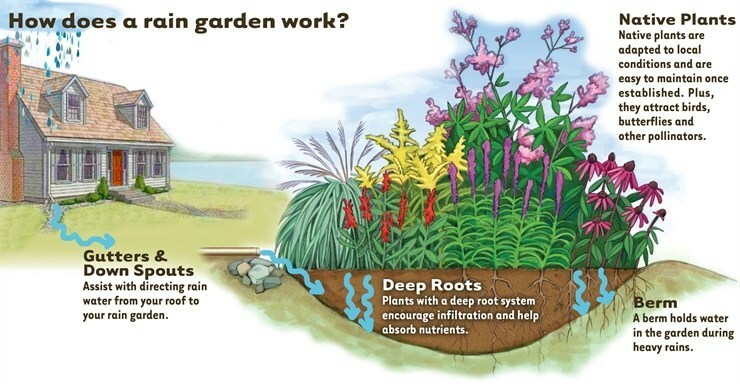 You can transform an area of turf grass into a garden dedicated to natives, install a rain garden or simply incorporate a few native plants into an existing formal garden. Even if you’re only adding a tree or two to your landscape, just choosing a native species will help attract a higher number of diverse native insects to your backyard. Before choosing plants for your garden, there are important things to consider. Know how much sun your plants need. Plants that require full sun need at least six hours of sunlight throughout the day. You will also need to know the type of soil you have whether it be a sandy, loamy (mix of sand/clay) or clay soil, as well as the moisture level of that soil. Don’t worry if you have a very shaded area to work with, you’ll certainly be able to find native plants that tolerate shade. 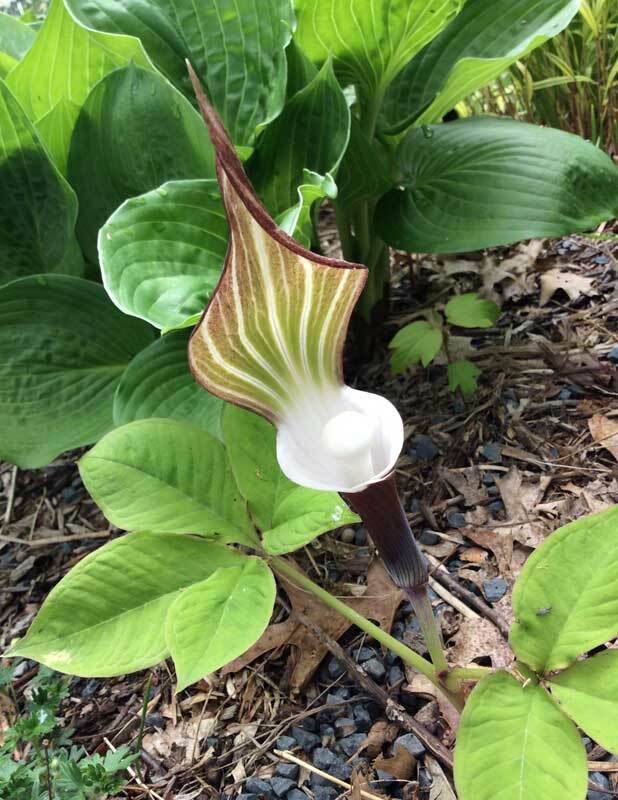 Some common natives that crave shaded areas include fern, carex, wild geranium and Jack in the pulpit among others. Once you evaluate these elements in your landscaping, you can choose plants that will thrive in the microclimate of your yard. By choosing plants that have the same requirements your site offers, you’ll also be cutting down on how much maintenance the plants need to flourish. No soil changes will be necessary and watering needs will be minimal once the plants are established. When finding sources for your plants try to stay as close to home as possible. Not only will your plants have been started in an environment similar to your own, but you will be supporting local businesses. 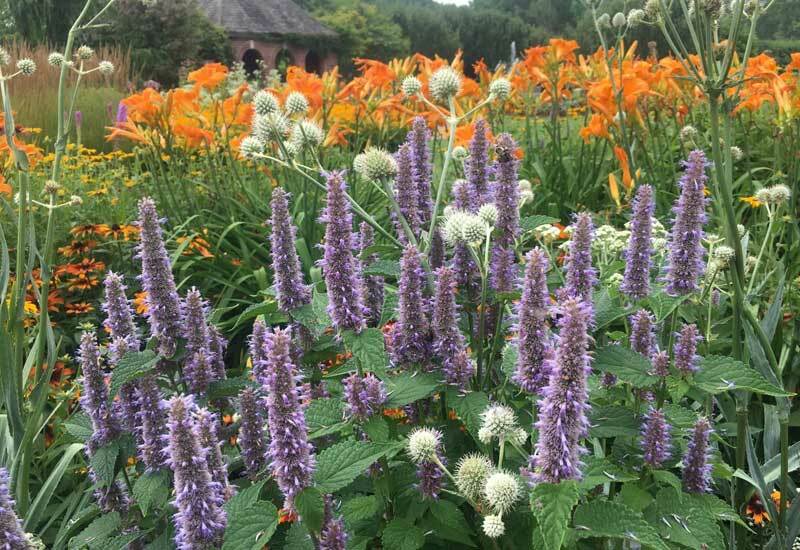 Some good local sources in northeast Wisconsin for native perennials are Stone Silo Prairie Gardens, Prairie Nursery, Door Landscape & Nursery and Chief River Trees and Shrubs. Also, visit the Wild Ones website to check out their native tree and shrub sale on Saturday, May 18 and Sunday, May 19. Your local nurseries are also a great resource for any questions you may have about planting with natives. Native plants offer many different flower colors and shapes as well as foliage texture and color. Pick out plants that have a variety of colors and textures, and don’t be afraid to mix it up. Also, be sure to use plants that add structure and movement to your garden. Grasses are an optimal choice. When designing a garden using native plants, there are no rules. You can choose a more formal look with repeating patterns and colors, or you can go with a more spontaneous look combining plants that just look good to you. A common practice in native design is planting groupings of the same plant in drifts, creating focal points that will invite a closer look. You don’t need to have an abundance of different plants to create a beautiful garden. Remember to keep in mind the change of seasons. Native plants and grasses offer elements of interest throughout the year from blooms to seed heads. Trees and shrubs also offer winter interest with their seeds, fruits and bark. Pick plants that will complement each other by blooming at different times throughout the seasons. While this will create changing color, it will also support the most variety of wildlife throughout the year. Consider waiting until spring to cut back your native perennials as they may provide seed for birds as well as adding interest to your garden throughout the winter months. When making your plant selections keep in mind the type and amount of insects each plant will support to optimize the biodiversity of your landscape. Once your plants are in the ground, you’ll need to water them until they are established. It’s a good rule of thumb to water your new plants through the first growing season so they can root properly. Water when needed so you give plants a thorough deep soaking less frequently, which promotes a deep root system, rather than lightly watering often. A two to three-inch layer of weed-free organic mulch will help with evaporation and weed control and will break down over time, which adds nutrients to the soil. Whether you start big or small, each time you decide to plant natives, you’re doing your local wildlife a favor. You’ll be rewarded by the arrival of insects, birds and other wildlife that will visit your garden as well as the natural beauty these plants will add to your landscape. Make sure you share these rewards (and pass along your knowledge of native plants and their importance!) with friends and neighbors in hopes that we can create more habitats for our native insects and animals that are crucial to our ecosystem. Don’t forget to save the date for Garden Fair! You can shop plant sales on Friday, May 31 or Saturday, June 1. Admission into the plant sale is FREE and we’ll have a number of garden experts on hand to answer all your questions, including ones about native plants and native gardening. Native plants also provide some options to attract pollinators to your garden. You can find out more about pollinators and the plants they love at our upcoming summer exhibit, Butterflies & Blooms! It kicks off on June 1 and is free with Garden admission. Plus, you can learn more about how you can grow your own pollinator paradise, maybe with native plants, and pledge to do it this summer by signing up for the Million Pollinator Garden Challenge! The Garden is one of more than a million gardens already listed.